Back before the kiddies came along, I used to spend some late nights trying to compile my favorite music from my favorite TV shows and movies. Some sources were the soundtrack LPs, some sources were the TV screen (as in holding a mike to the speaker). With one TV we had for a while, I interrupted the in-cabinet speaker wires to run a line to my cassette deck's "line in" jacks. If it was a movie, I just used the VCR's RCA outs as sources to the recorder. I also felt pretty tech-savvy to have two separate cassette decks. That meant I could dub and edit, one to the other. That's how things like Tracks 9 or 10 come to be a little longer than what you see on TV -- I extended them (with a hamhanded touch, some might say). So think of this as a curiosity, a viewpoint into what a SF nerd thought was fun around 1984 or so. One regret is that Track 2's audio phases in and out, like a half-degaussed tape. The ORIGINAL (now long lost) patch job of various TREK TV themes sounded crisp and seamless, I promise! It wasn't long after this that the PAUSE button on a cassette deck changed.. Originally, the mechanism physically paused the tape, still against the PLAY or RECORD heads. If you used the PAUSE button, you could produce an edit that sounded nearly as good as anything you heard on the car radio. Later, hitting PAUSE retracted the heads. This meant "goodbye" to my amateur editing days. It was probably intended in the industry to save wear-and-tear on the tape. But boy, it bummed me out. 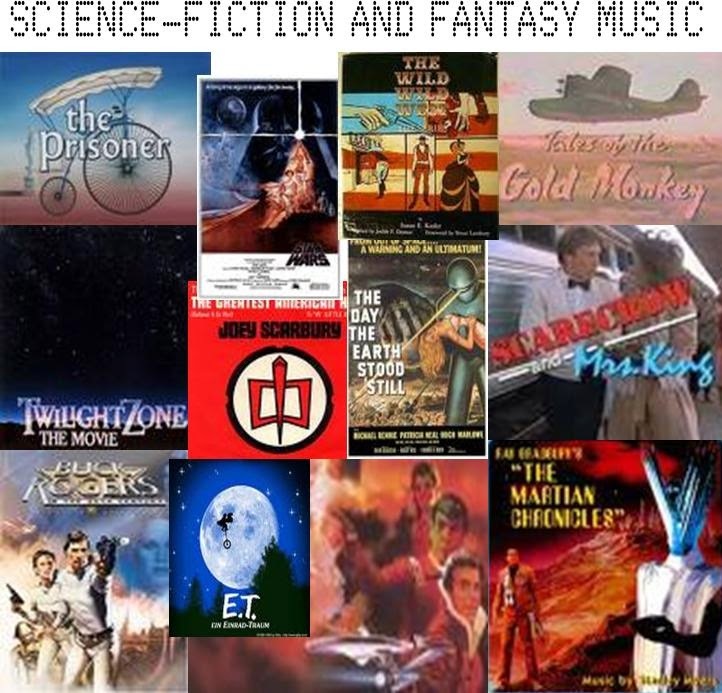 Track 4 is another editing example, putting the beginning of the ST:TMP soundtrack LP together with the end credits. A New Spy Paperback Series! Over the night of Saturday-Sunday, July 26-27, 2014, I had a dream which tickled me after waking. In my status as “creator” of the dream’s content, I think I had a darn good idea! I was shopping through a thrift store and came to some wire shelves that bore a bunch of old books. Something about one of them caught my eye. 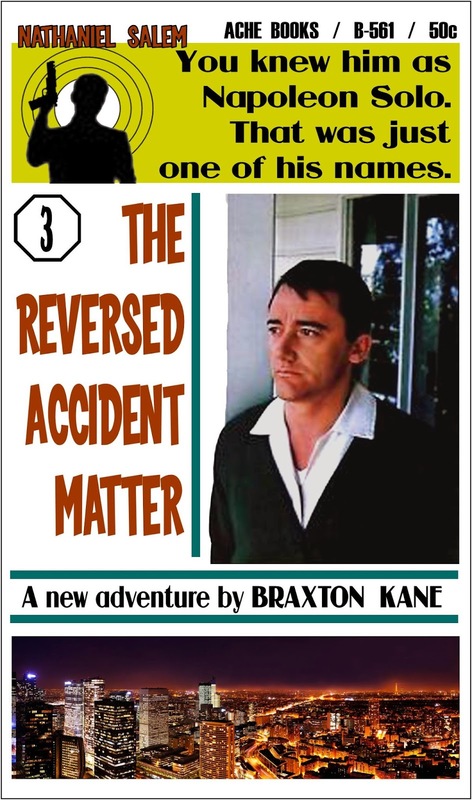 It looked a lot like one of the Ace paperback series of Man from U.N.C.L.E. adventures, so I grabbed it off the rack. It certainly LOOKED like an Ace U.N.C.L.E. paperback -- it was flexed and worn, and faded. 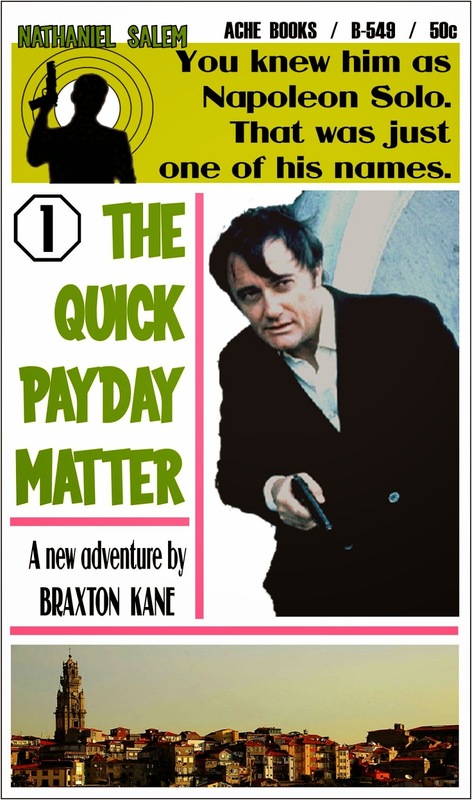 And it had a picture of Robert Vaughn, circa 1966, on the cover. And it was a spy book -- but not about U.N.C.L.E.! And, looking on the shelf, there about five or six more paperbacks, all of the same series! My dream ended with me grabbing up all of these, and looking forward to reading some cheesy 1960s spy adventures. Think about it. It’s a brilliant idea -- to market YOUR OWN series of spy novels to unwary teen readers, and to tie them into an existing popular series by claiming that these tales featured the same hero, just under another name! I assume that you’d need permission from both MGM-Arena AND Vaughn to do such a thing in real life, but the Dream Master doesn’t care about permissions. And my waking self can only marvel at this clever way to manufacture a tie-in series. Why, you could have many different series with a rugged, suave spy -- each apparently a different character. But you, the publisher, could say that all of these heroes were THE SAME GUY. 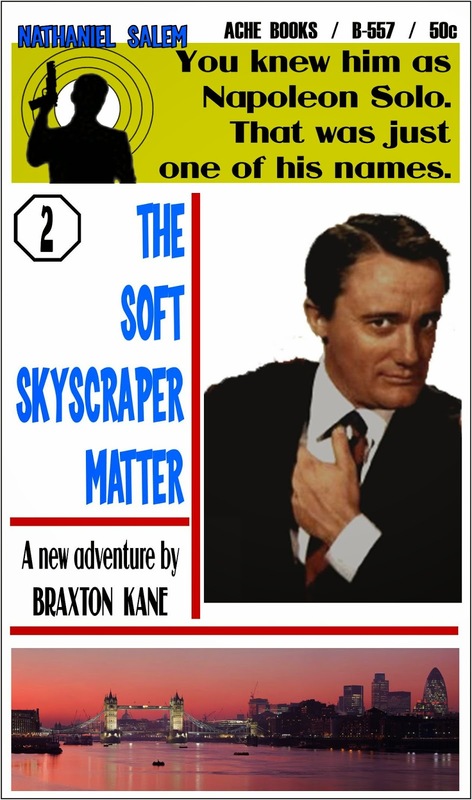 And, they were all also Napoleon Solo of U.N.C.L.E. -- only he was working under different names, in these adventures! 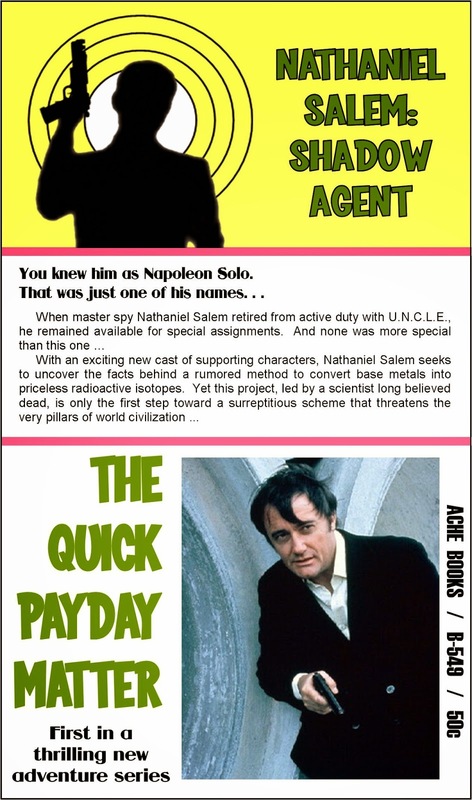 Of course this also implies that Napoleon Solo may have been a false persona, a made-up role played by this same guy. The mind boggles! Here are a few recreations of the books in my dreams. Only the concept of Vaughn, the wording about “only one of his names,” and the idea of a series, are remembered elements of my dream. I made up the names of the books and the author’s name. The front cover layout -- the placement of photo, book title, and blurb -- are faithful to Dream Master’s presentation. So, tell me -- do you agree that the Dream Master had a diabolically clever idea?